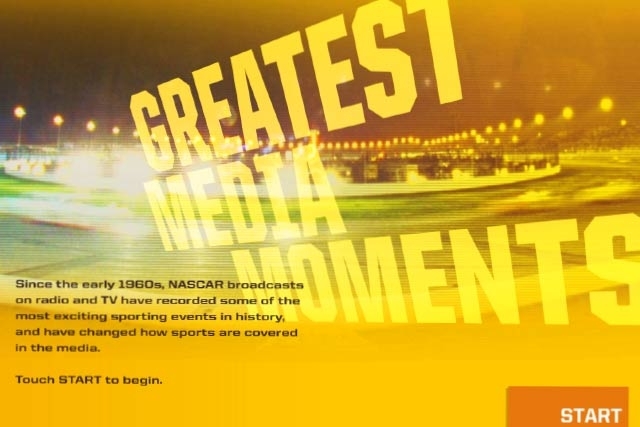 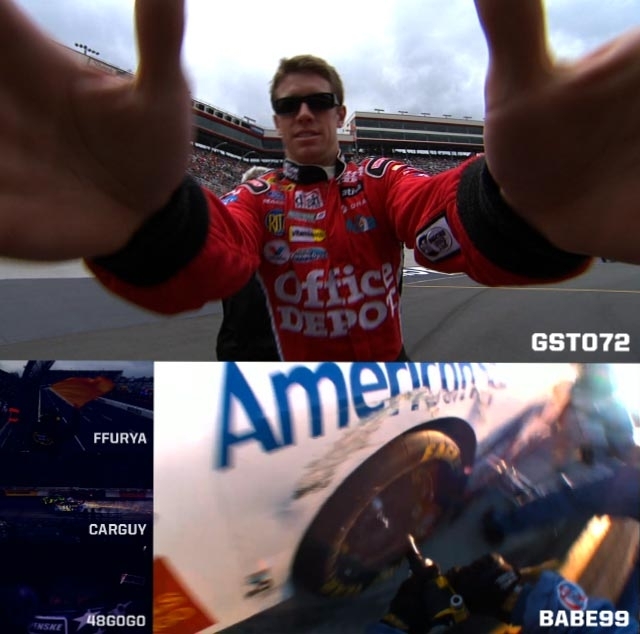 A robust multimedia database system that houses NASCAR’s greatest moments. 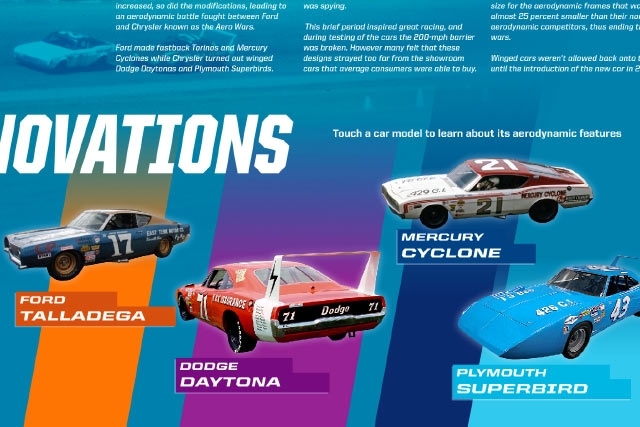 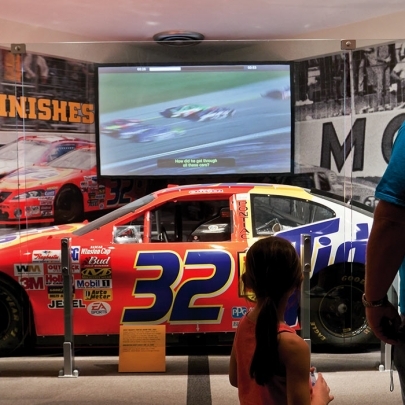 To make the entire history of NASCAR accessible for visitors, the NASCAR Hall of Fame delivered Unified Field a massive trove of images, videos, driver statistics, race track information and more, which we converted into a comprehensive database. 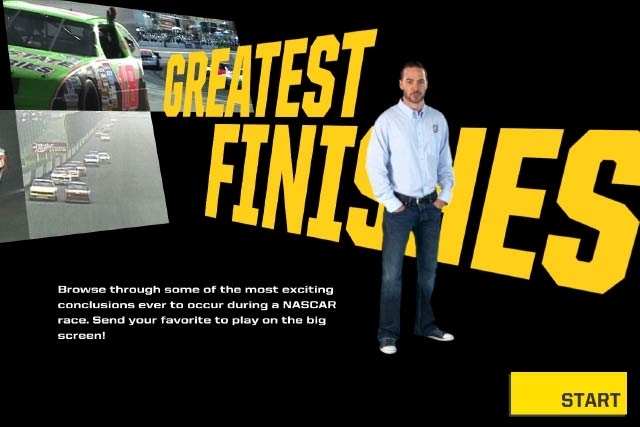 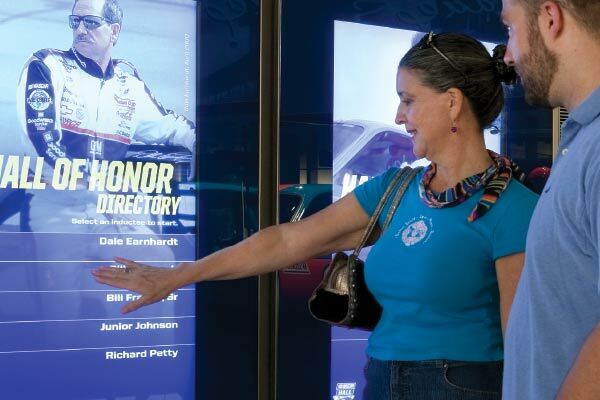 The database fed all of our interactive Kiosks programs at the NASCAR Hall of Fame. 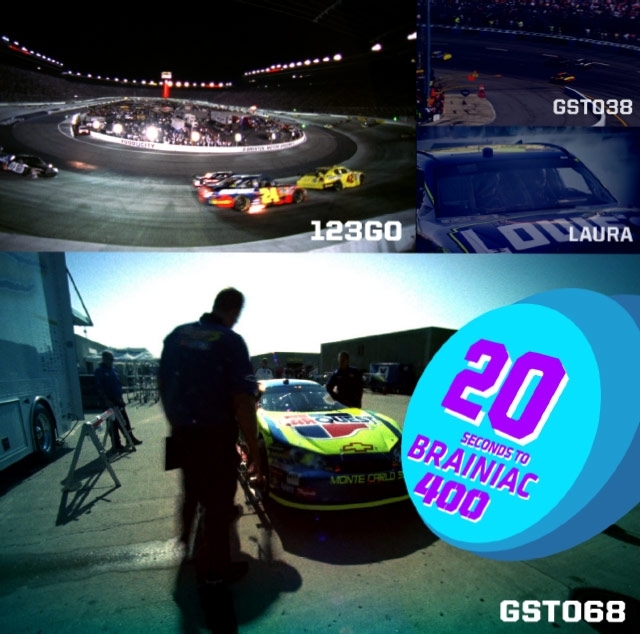 Guests can view NASCAR’s Greatest Finishes, NASCAR’s greatest crashes, race statistics and visitor’s RFID Hard Card scores. 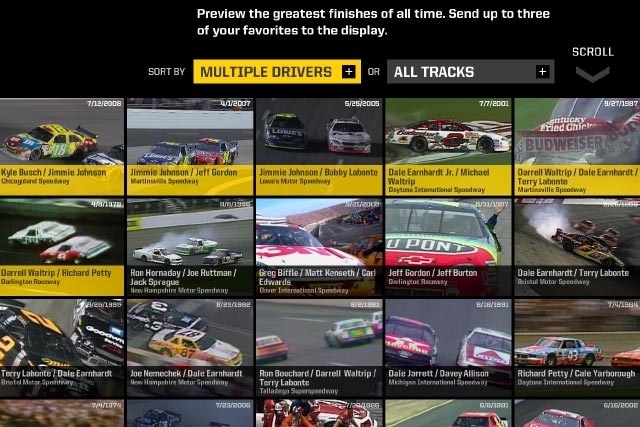 From NASCAR’s greatest finishes to the NASCAR’s greatest crashes, Unified Field curated all of these moments with an engaging and authentic user interface.